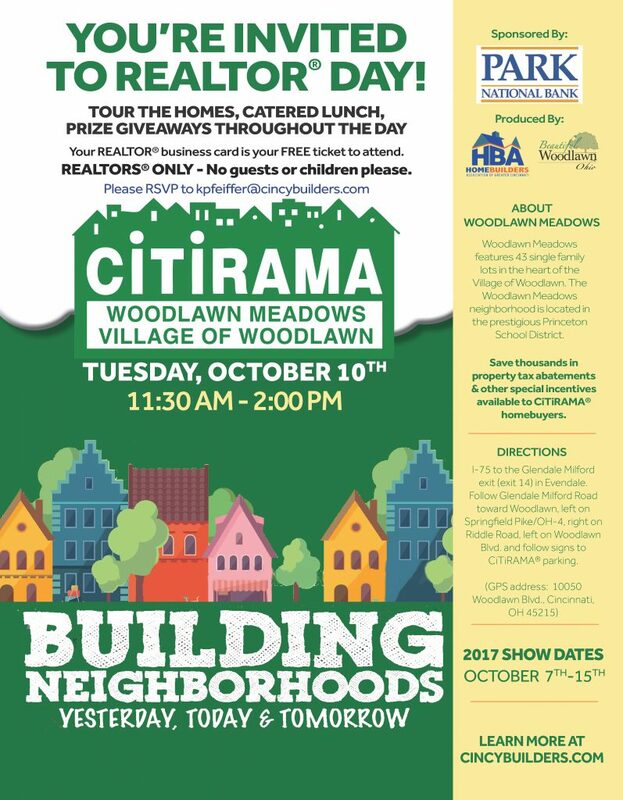 Come enjoy tours of the homes, a catered lunch, and prize giveaways. Your REALTOR business card is your FREE ticket to attend. Please just RSVP to kpfeiffer@cincybuilders.com. For more information visit www.cincybuilders.com or CLICK HERE.